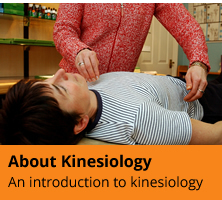 The Progressive Kinesiology course enables students to develop and grow as they progress through the various stages of our training programme, in order to become competent practitioners. We start with an eight day Foundation course with a one day assessment, which is followed by the main Advanced practitioner course. This takes takes place over 40 days including a two day assessment. The complete training course runs over a two and a half year period with 49 days in total. We also encourage our trainees to participate in exhibitions and gain as much experience with their case studies whilst training with us. Our course contains the core subjects of Interpersonal Skills, Practice Management and Nutrition. These are also certified seperately and can be undertaken by students attending other training. The core subject of A&P is also required to be completed before becoming a practitoner, and we offer a seperate Level 3 study programme for this topic. 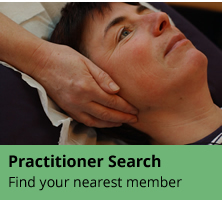 Our courses are registered with the Federation of Holistic Therapists (FHT), the International Institute for Complementary Therapists (IITC) and recognised by the KF. All successful graduates in Progressive Kinesiology receive the Progressive Academy Certificates on completion. The Progressive Kinesiology Academy - under the umbrella of The Wellness Alliance - is also an OCNER (National Open College Network) recognised training centre.